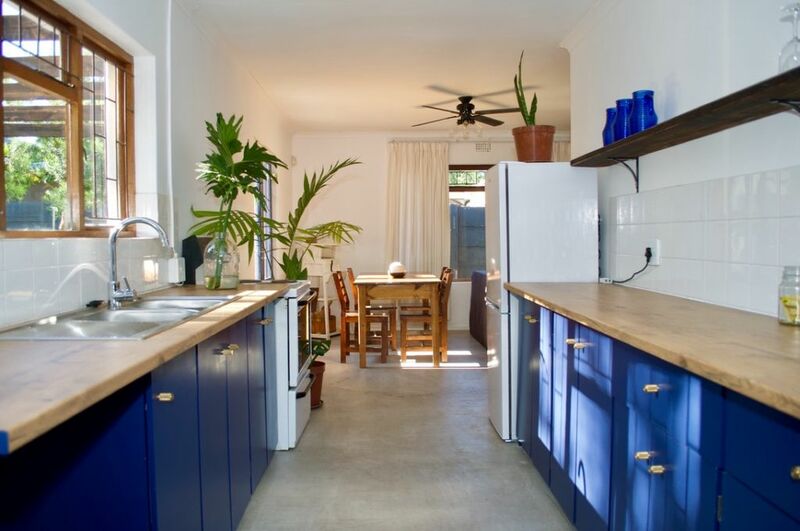 A spacious open plan one bedroom cottage nestled on an urban in Paarl. The apartment can comfortably accommodate a maximum of four adults and an infant. We are centrally located and 5 minutes from the Paarl Boys' High sports fields. The apartment has been designed to be wheelchair friendly. The main bedroom has a king size bed which can be separated into two single beds if needed. In addition, there is a crib. The bathroom is an en-suite to the bedroom and has a shower and toilet facility. The living room has a queen size double sleeper couch and smart TV with ShowMax. There is also a dining table and a high chair.